My Harry was always a very sporty guy — from the day I met him right through his old age. 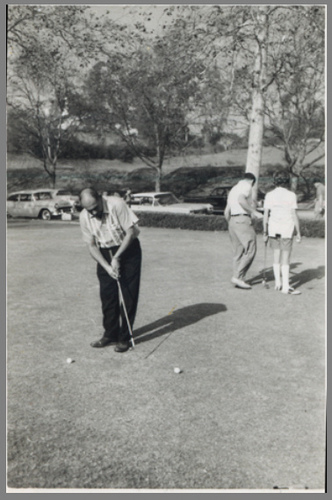 He especially loved golf. Here is a cute picture of him deep in concentration on the putting green. I always loved how happy he was to play! Next Next post: Ask Grandma Anything: Wife’s Wanderlust Woes!